Please REFRESH after Loading this Page! Welcome to RSS News Feed. You can have PMCC RSS Read to you. Another wonderful way to receive a blessing. Have "Dark Rss News Reader" app Read our Rss Feed to You. When NEW feed is sent out... It'll grab it immediately and Alexa will read it to You. Better Yet: Have it Come to YOU! Have PMCC RSS News Messages delivered straight to your Email Inbox. Fill in your info with email-address & create a simple password. Once you Sign up, it'll send you and email confirmation. Check Your EMAIL and Confirm to achieve email recognition to receive. You'll have three choices: Your Email & Password you created or FaceBook or Google to Sign-In. IFTTT will recognize your Email and sign you in. Always Stay Signed in... Don't Sign-Out! Copy & Paste our URL before clicking link. App will open in another window: Simply toggle back to this page for step by step instruction. You see it in this picture ................................................................ Right Here! Click that gear looking icon at top-right! It'll open the app to the configure Mode. 4.) and Paste our feeds URL Feed Box. 1.) Click Forgot Password: Type your email into the box they provide. 2.) They will send you an email to reset Password; Make it simple to remember. and "ALWAYS STAY SIGNED IN"
Follow the simple instructions with pictures above. Listed Below are all fine choices for receiving our Instant Messaging. "I personally use this App on my phone. Love it! Immediate Posting"
Use your phone to get this and Click JustRss "FREE"
Reader for Smart-Phones, Andriods and alike. Note: Once added you can SYNC on phone by swiping your finger "downward" on phone screen. "We also use this on our computer. Great display and post time.."
When using: Within this reader is a REFRESH button. To get ALL NEW POSTS use that Refresh Button. Use the Left side: FREE Feed Reader Online. It's Has a REFRESH Button: Use it often to check for Newest Posts! Depending on who you ask, RSS stands for either "Rich Site Summary" or "Really Simple Syndication." But no matter what it's called, RSS is a new way to publish information online. At the heart of the technology is special Web coding, called XML, that has been widely developed by the global online community over the past few years. The XML code for RSS describes a new type of Web information called a "news feed." Essentially, the feeds can contain a summary and links of the new content on a Web site or anything else a creator desires to share. A company may publish an RSS feed that contains news of its latest products, for example. Anyone — an online surfer or another Web site — can pick up the RSS codes and with the appropriate Web software display the information automatically. What Does RSS Mean for Site Publishers? Through syndication, online content creators have a much easier way to get their information published and seen. For instance, a Web surfer who sees an RSS feed — say a ticker of top news stories — on one site might click on the content, which in turn drives more traffic back to the original Web site. RSS can also be a way for Web sites to retain "loyalty" among visitors. 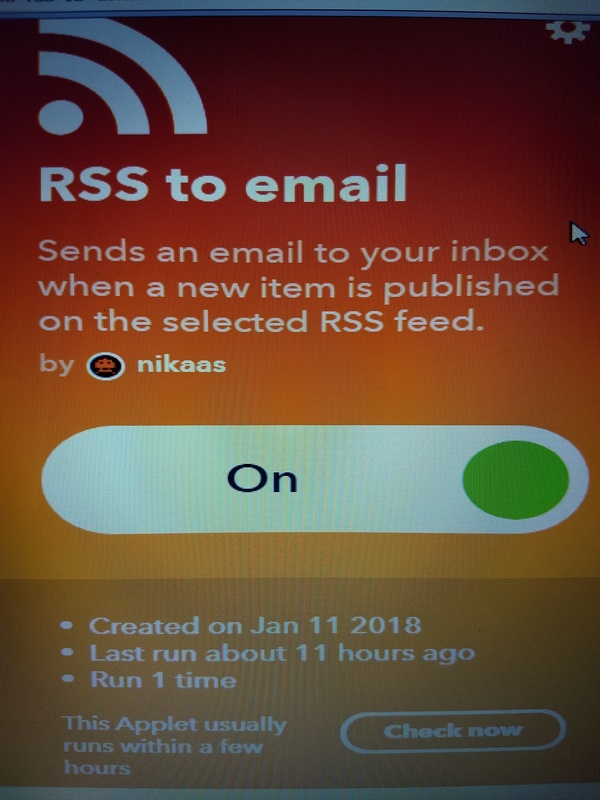 By supplying the RSS code on the Web site, visitors can "subscribe" to the feed and automatically receive updates on their personal computers of new content on the site. Such an RSS feed will free content creators from creating and sending e-mail reminders — many of which may be stopped by anti-spam filters. First, you need a feed reader. Performing a search for "RSS Feed Readers" in any major online search engine such as Google or Yahoo! will produce a bundle of software options — many of which are free. Once you've obtained a feed reader, subscribing to an RSS feed is simple. 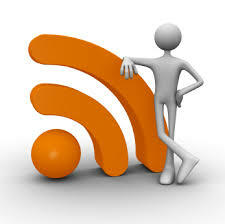 Most Web sites that publish an RSS feed will display either a tiny orange box or button labeled "RSS" or an "XML URL." Click the feed link you are interested in and your Web browser typically goes to a page of cryptic XML code. No worries, just copy the Web "address" or URL of that page and plug (paste) it into your feed reader. The software will then automatically retrieve and display that site's latest information. 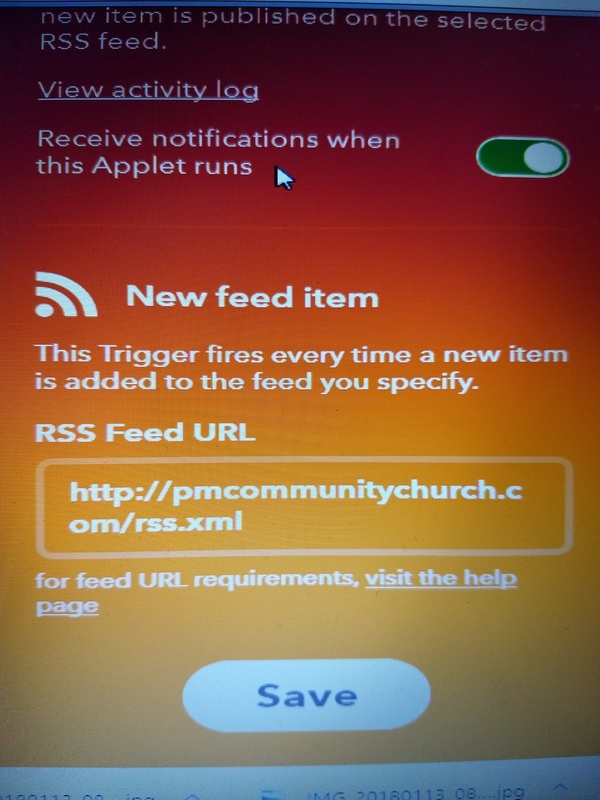 With RSS Feed you'll get instant messages sent out from Port Monmouth Community Church and displayed into your RSS reader. Messages not only will be the most recent updates within the church website, but you'll also receive instant messages from Pastor Don with announcements of any closure's due to inclement weather, holiday wishes and much MORE. In short, All we do is provide you the address location to retrieve the message. Anyone with that address name places it into the reader. The RSS Readers display much like E-Books and better yet it retrieves the updated message as it's posted. Clean Un-Interrupted messaging! This is a service which will surely help keep YOU informed and stay connected. PMCC feed when posted arrives immediately right to your PHONE, COMPUTER DESKTOP or TABLET. You may also Read PMCC Feed on Main Home Page. For Computer's or Phones just go to the App Store and do a search. We come to You and are always available! We are so blessed & grateful for Jeremy Lipari who without his contribution this PMCC Website would not be possible.